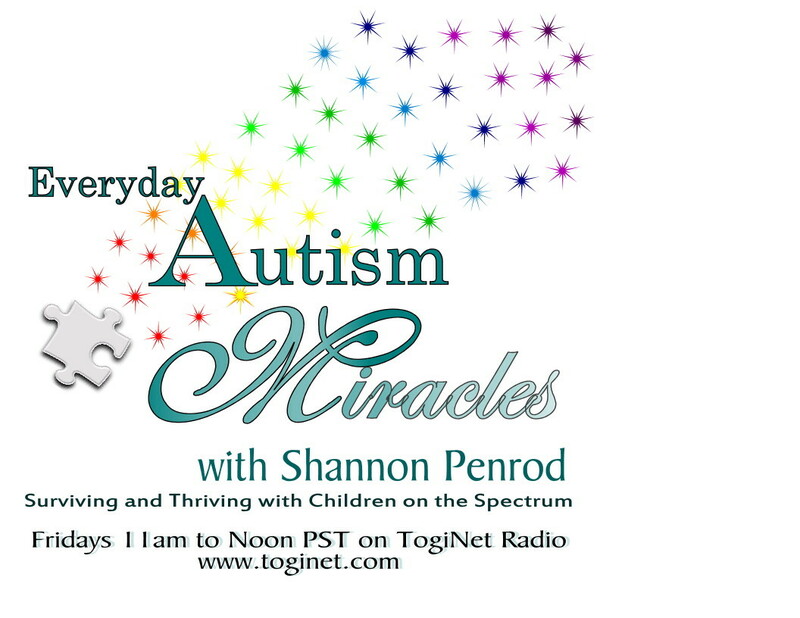 Shannon Penrod, host of Everyday Autism Miracles on internet radio had a “biomed mom” (me) question on her show this week from a caller in Idaho. Shannon: How can I know which biomedical supplements are working? Joanne: Well, first of all, I only add or change any supplements/biomeds one at a time. That way you can determine which ones are working or not by charting everything. I chart the date the supplement was started, dosage, the time of day given, and note any behaviors or improvements you see. You also need to make note of any changes to your child’s schedule, environment, therapies, etc. to make sure that these changes are not affecting certain behaviors or reactions. Then I start looking for things like: are they sleeping better, how are their bowel habits, cognition, social, speech, hyperactivity. Write down everything that happens everyday for a two to four week period. Then review it and see if the supplement improved or worsened any of your child’s symptoms. If my boys were to explain this, it would involve swords and light sabers along with some pretty cool sound effects. My method is not that dramatic nor fun-filled, but it’s effective. With the flu season still in full swing where we live, my kids have thus far stayed healthy. They’ve had a few, short-lived colds, but overall, they’ve fared well this winter season. I didn’t even realize until the other day when a friend was telling me her horror stories about her entire family just getting over the stomach flu, seasonal flu and head colds that my kids did not have any type of flu virus this winter. First time ever, that I can recall. How is that, you may wonder? Luck? I don’t think so. My family does not get annual flu shots. My kids’ bodies just can’t handle the toxic additives that are in the flu vaccinations; it does them more harm than good. So then how do I protect my kids from the seasonal flu? Well, we have a variety of police patrolling our house and one of them is the “hand washing” police. Everyday when they get home from school, the first thing they have to do is wash their hands. Now I know they aren’t washing their hands before they eat lunch at school; they are kids after all. So how are they staying healthy? I believe the secret lies in boosting their immune system to fight off those nasty bugs. The key immune boosters at our house are vitamin D and zinc. Let’s not forget important ones like vitamins C and A, which are also great for fighting colds, but vitamin D has gotten a lot of attention lately for its ability to increase immune activity. Because humans obtain most vitamin D from sun exposure and not from their diet, a varying percentage of the population is vitamin D deficient, at any time, during any season, although the percentage is higher in the winter. We live in sunny southern California and both of my son’s vitamin D levels were tested and came back low. I know you’re thinking, wow, lots of sunshine and still not high enough vitamin D levels? That’s crazy! Imagine the levels in kids living in the northernmost hemisphere. Circumstantial evidence has implicated wintertime low levels of vitamin D to the seasonal increases in colds and flu, but some smaller studies have also hinted at a link between low vitamin D level and a higher risk of respiratory infections. In one study* the results showed those with the lowest vitamin D levels were 36% more likely to report having a recent upper respiratory tract infection than those with higher levels. This association persisted during all four seasons and was even stronger among those with a history or asthma or chronic obstructive pulmonary disease (COPD). Unless you eat a lot of fish and drink a lot of milk, you just can’t get enough vitamin D from your diet. That is why I supplement it at our house every day and don’t wait for a cold to begin. The other immune booster in our house is zinc. It’s been shown that zinc deficiency impairs the immune response in our bodies. I know that there are popular over-the-counter remedies for treating cold and flu viruses including Zicam and Cold EEZE zinc lozenges. Problem is, you’re waiting until you get sick to take any form of zinc. Think preventative, not just curative. My sons take between 20 – 40 mg. of a zinc supplement every day. Along with the 1,000 I.U.s of vitamin D3 per day, they are winning the battle against cold and flu viruses. And to their disbelief, no swords or light sabers were necessary. * Published in the Archives of Internal Medicine, researchers analyzed information on vitamin D levels and respiratory infections from nearly 19,000 adults and adolescents who participated in the Third National Health and Nutrition Examination Survey (NHANES III) from October 1988 to October 1994. My son’s elementary school promotes the anti-drug campaign Just Say No To Drugs! each year. It’s a wonderful awareness campaign. I really wish they could include high-fructose corn syrup (HFCS) in that campaign. Does that mean I am comparing HFCS to drugs? No. But I believe it’s something our kids should be taught to avoid, for their long-term health. I know, for those of you out there that feel some HFCS won’t hurt and tell me, besides “my kids don’t drink sodas”, well, I may have some news for you. HFCS is in almost everything on the grocery store shelf that requires a sweetener. Why? Because it’s a much cheaper ingredient than sugar in the manufacturing process and it extends shelf life. Cheaper ingredients, extended shelf life means less cost to the consumer. Less cost equates to a higher volume of products that will fly off the shelf and into America’s stomach. Ugh! In case you’re not familiar with what exactly HFCS is, I’ll give you the less technical, modified version of the manufacturing process. First off, it’s an artificial sweetener. Granted, it’s a byproduct of corn (which isn’t artificial) but it is processed in such a way that it becomes artificial. Corn kernels are soaked in warm water containing sulfur dioxide. This warm solution hydrates the kernels and makes it easier to separate its starch, hull, protein and oil components. After soaking, the kernels are wet milled to remove the oil containing germ. In this process, the wet starch is mixed with a weak solution of hydrochloric acid and is heated under pressure. The hydrochloric acid and heat break down the starch molecules and convert them into a sugar. Next, the remaining corn starch is washed, and three types of enzymes are added to the resulting mixture. The resulting syrup is then place through an evaporation process to create the desired consistency for shipping. Sound natural to you? Me neither. But the Corn Refiners Association put a lot of effort and money into “debunking” myths surrounding HFCS. One of them being that it’s the leading cause for America’s obesity epidemic. 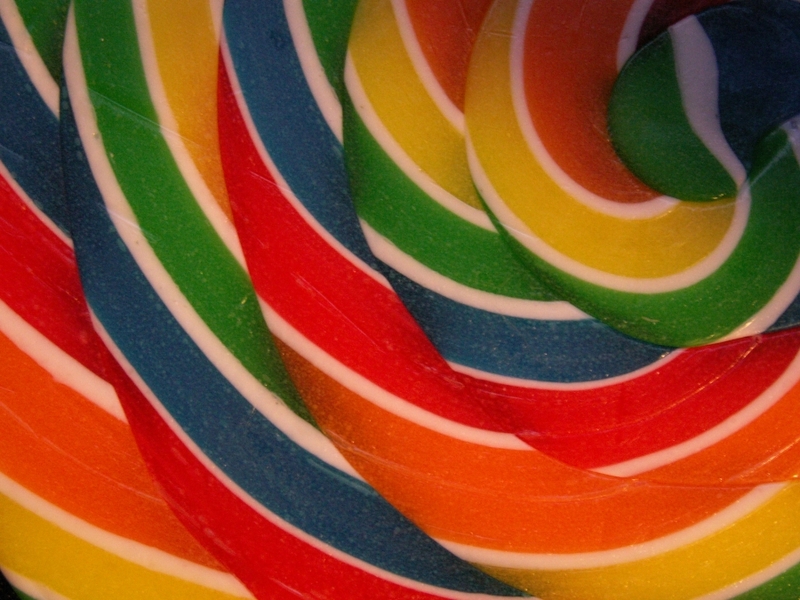 I’m not blaming obesity on HFCS, but it is in most processed foods that America eats. When HFCS is ingested, it travels straight to the liver which turns the sugary liquid into fat, and unlike other carbohydrates HFCS does not cause the pancreas to produce insulin; which acts as a hunger quenching signal to the brain. It makes sense to me that eating food that gets immediately stored as fat and never feeling full might lead one to obesity. Because HFCS extends the shelf life of foods, and farm subsidies make it cheaper than sugar, it’s added to a staggering range of items, including sodas, yogurt, cereals, crackers, ketchup and bread — and in most foods marketed to children. 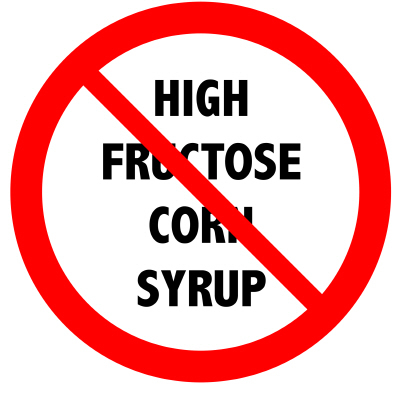 So, unless you’re making a concerted effort to avoid it, it’s pretty difficult to consume high-fructose corn syrup in moderation. Try buying a loaf of bread at your local super market chain that does not contain HFCS. I nearly went blind reading all those tiny labels trying to find one. I gave up and purchase my HFCS free bread at Trader Joe’s. The good news is, I think the tide is turning. Public outcry and perhaps a few lawsuits thrown at food/drink manufacturers (Kraft was sued in 2007 for claiming Capri Sun was “all natural” even though it contained HFCS) has prompted some companies to switch from HFCS to sugar in their sodas/drinks. Soft drinks groups, HFCS’s core consumers, are “preferring to switch to sugar given the poor health image of high-fructose corn syrup,” Credit Suisse’s report stated on January 7, 2010 (http://www.agrimoney.com/news/corn-groups-hit-as-drinks-makers-return-to-sugar–1183.html). Snapple, Ocean Spray and Capri Sun had switched some months ago, with Gatorade in November saying it would replace corn syrup with sugar. That’s huge! Mainly because corn syrup was selling for about half the price of spot sugar. My hope is that more people read ingredient labels so they are aware of the types of additives they are consuming. Next time you pick up something at the grocery store, spend a minute reading the ingredient list and ignore the marketing on the front of the package. My family just says NO! to HFCS and perhaps more families out there will join us. And live long, healthy lives.